Yes, you got the title right! 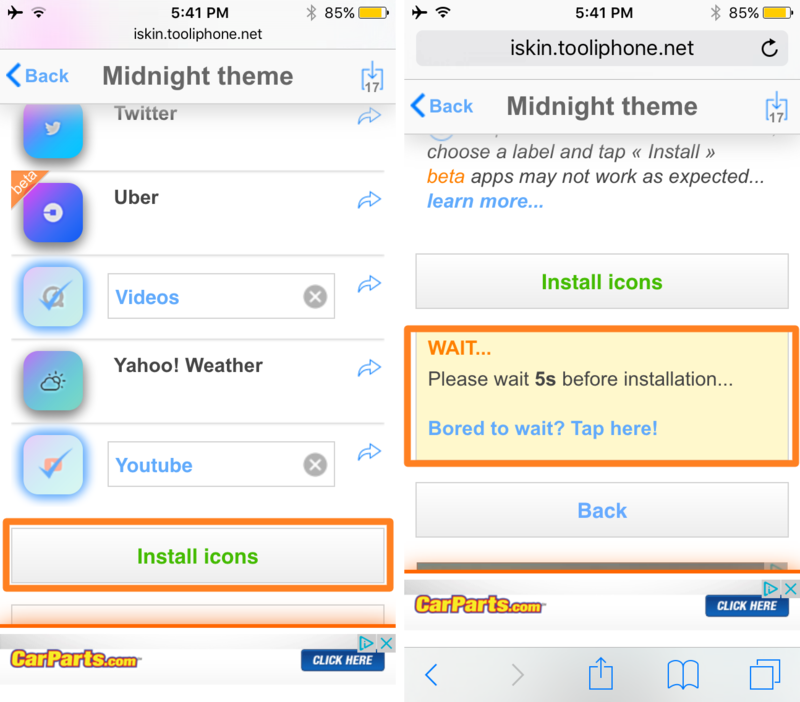 You can now install themes on your iPhone, iPad and iPod Touch even if your device is not Jailbroken. app to get themes on your device. You can simply install various themes from the Safari Browser. Isn’t it a cool thing? new one but it creates a new app icon for every individual app you have selected. So all you have to do is create a folder and place all the old app icon to that folder so that you can hide it from your homescreen. 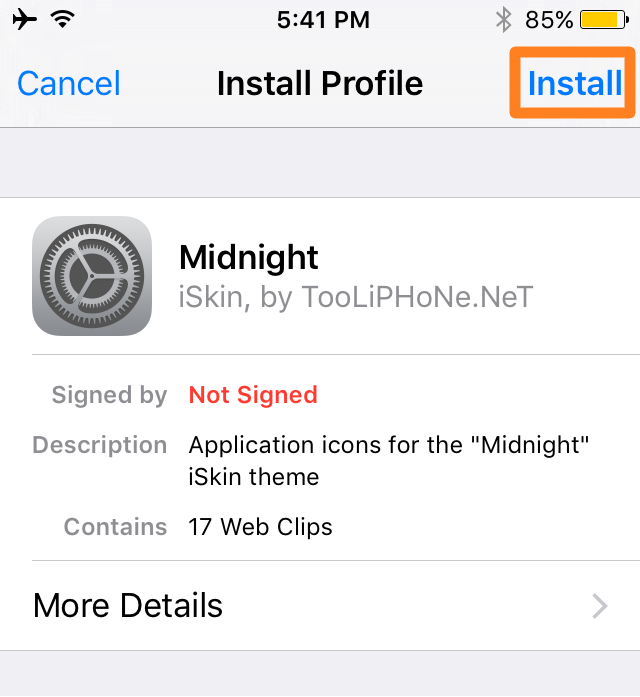 Step 1: Go to http://iskin.tooliphone.net/ from your safari browser. 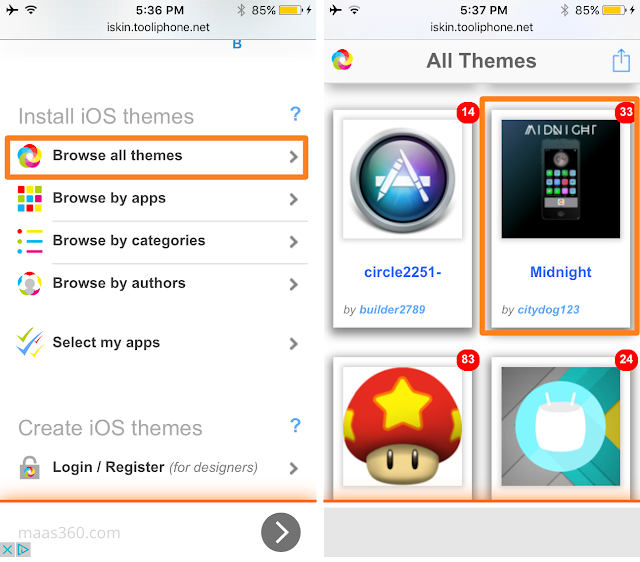 Step 2: Scroll down and tap Browse all themes to select the theme. Step 3: Select any theme from many to choose from. 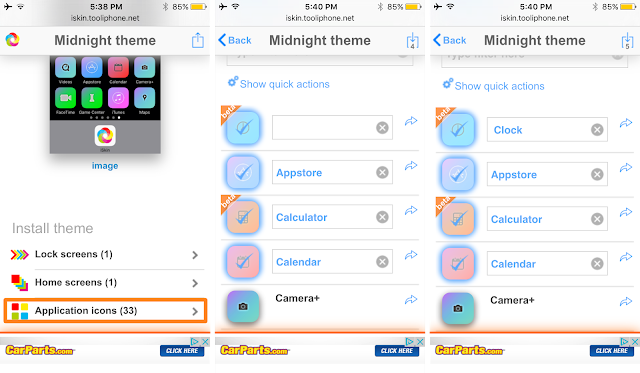 Step 4: Now tap the Application icons button and select the application where you want to apply the theme. Just tap on each app icon individually. 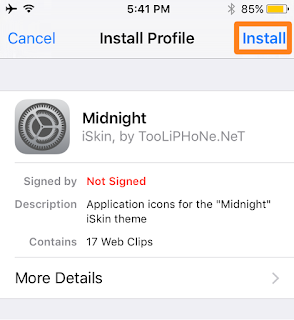 Step 5: After selecting the app icons, scroll down and tap on Install icons button. clicking on the Install button. Step 8: Wait for some seconds then go to last page of your Home Screen. You will see all new icons for the apps you have selected. by entering the jiggle mode or by going to Settings – General – Profile – Deleted Profile. Remember you cannot download all the themes for free. But the good news is neither you have to pay! All you need to do is take part in any of the task like sharing the iSkin on twitter or something like that to be a premium user. It is really easy to do that. 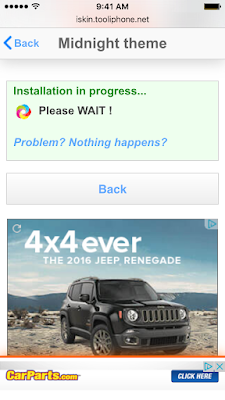 Just follow the steps given by the site and you’re in! Enjoy theming your iOS device without Jailbreaking!! Share it with your friends.